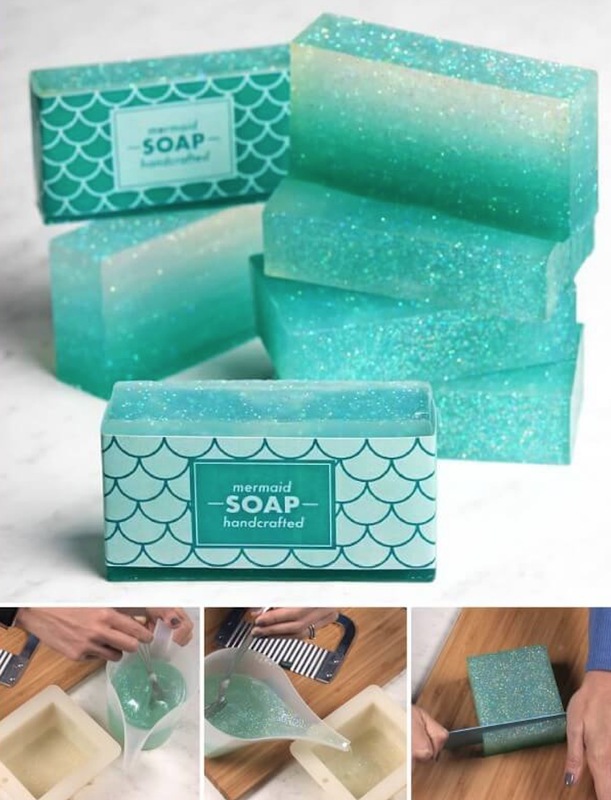 Learn how to make this gorgeous glittery Mermaid Ombre Soap. It’s easy when you know how! Be sure to watch the video tutorial now you’ll be amazed at the gorgeous results. We love the mermaid crafts and ideas and they are trending every day on social media. 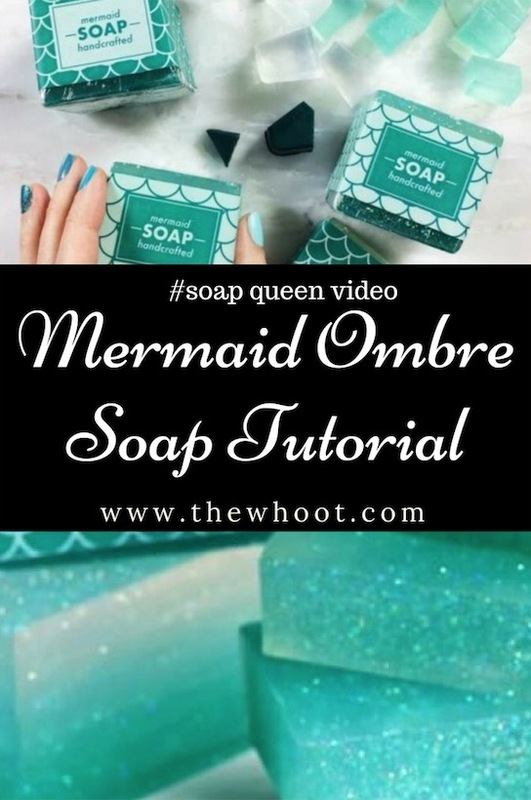 Today we are sharing this Mermaid Ombre Soap project from our friends at Brambleberry. 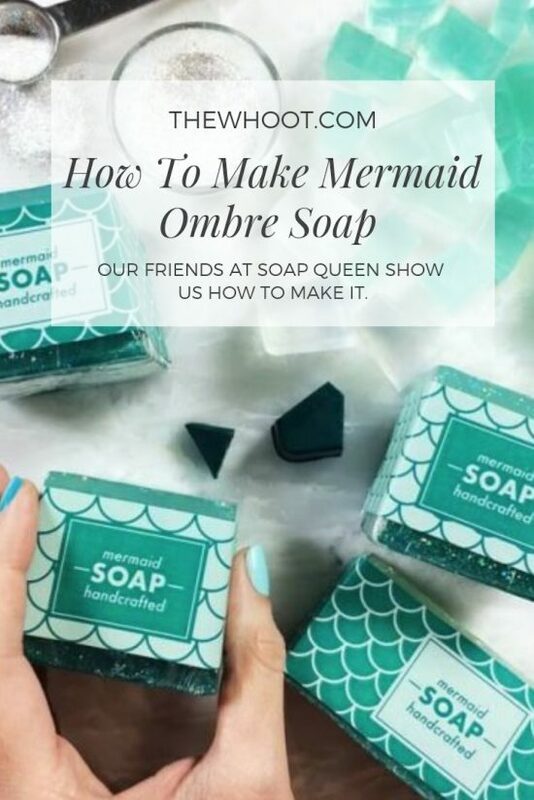 We’ve got the how-to along with some great tips from our newest contributor known as The Soap Queen. Mermaid Ombre Soap features graduated layers of color and it’s full of citrusy fragrance based on the Yuzu Cybilla, a Japanese fruit. The tutorial is hosted by CEO Anne-Marie who shares her passion and creativity and lots of clever tips and tricks. If you think soap making is a complicated procedure, then you’ll be pleasantly surprised once you see Anne-Marie in action. You can actually make as many layers as you’d like and as thick or thin as you like. The Bramble Berry Mermaid Soap Kit also comes with the beautiful labels shown above making them perfect for gifts. You can see more about this project here. You will also love their other ideas so be sure to visit them on Facebook. Want More? Check out the Mermaid Bath Bombs here.